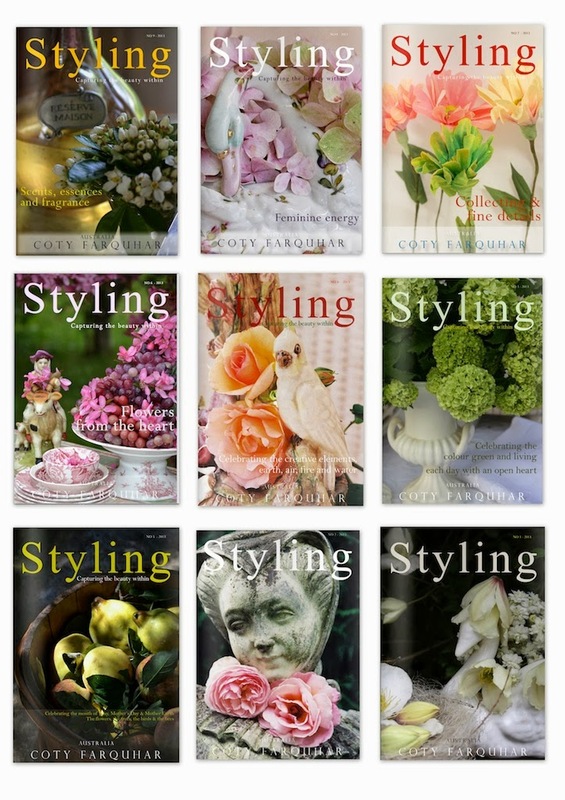 Styling Magazine by Coty Farquhar - Australia: Styling Magazine - "Spring is in the Air"
Styling Magazine - "Spring is in the Air"
and the very last of the cherry and apple blossoms are on the trees in my garden. It is such a perfect time to open the doors and windows and let the breeze in. Wishing you all beautiful and relaxing weekend. Beautiful images, Coty! Never saw a salmon-colored Camelia. Lovely "fragrant" post! Now - I'll enjoy your Styling magazine. the Northern Hemisphere were "Autumn is in the air"!